PORTERVILLE – A Visalia-based home builder is now building homes in Porterville. San Joaquin Valley Homes (SJV Homes) and Presidio Residential Capital recently closed on 15 acres of farm land on Henderson Avenue in Porterville and plans to build Cambria, a new neighborhood with 80 single-family detached garden homes and its first in Porterville. The partners plan to break ground this month ­and will begin model construction in January 2019. The retail value of this project will exceed $18 million. Cambria will offer modern single-story homes ranging from 1,297 to 1,597 square feet with open floorplans and three bedrooms and two bathrooms on lots ranging from 4,750 to 5,840 square feet. The community is surrounded by rural residential and agricultural properties. Located in west Porterville, about two miles west of Highway 65 and 15 miles east of State Route 99, Cambria is 30 minutes from Tulare and 45 minutes from Visalia. Porterville serves as a gateway to Sequoia National Forest, Giant Sequoia National Monument and Kings Canyon National Park. Cambria is also close to the Riverwalk Marketplace. Local employers include the Porterville Unified School District, Porterville Developmental Center, Sierra View District Hospital, Walmart Distribution Center and Eagle Mountain Casino. This is SJV Homes’ 21st joint venture project with Presidio Residential Capital, a San Diego-based real estate investment company that funds 100 percent of the projects and operations of SJV Homes. Founded in 2013 by Joe Leal, Jim Robinson and Randy Merrill, SJV Homes has sold more than 1,000 homes, making it one of the most active homebuilders in the region. According to the National Association of Home Builders’ formula to determine the local impact of single-family housing in typical metro areas, adding 80 single-family homes will generate $22.9 million in local income, $2.9 million in taxes and other revenue for local governments and 315 local jobs. 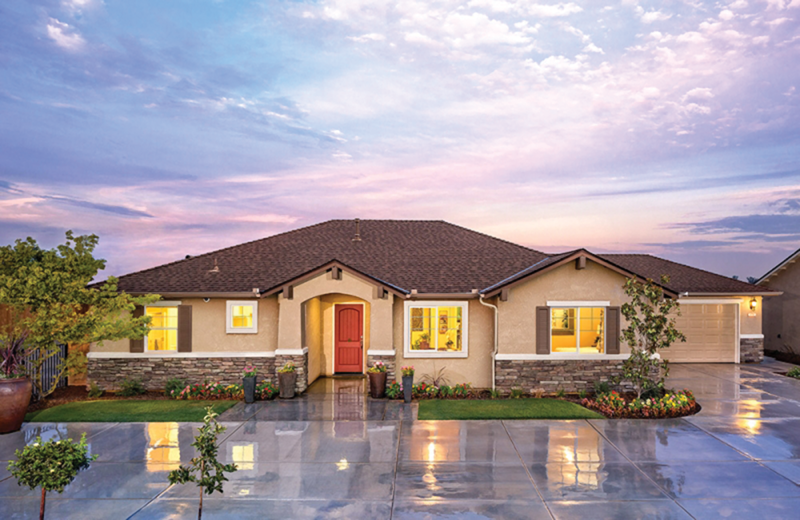 San Joaquin Valley Homes is a local homebuilder with deep roots in and a strong commitment to the Central Valley. Founders Joe Leal, Jim Robinson and Randy Merrill share a vision to build quality new homes in carefully planned neighborhoods for people who love the Valley and want lasting value. In 2013, SJV Homes combined forces with Presidio Residential Capital, a real estate investment firm in San Diego. It has since closed more than 1,000 homes and is now one of the busiest homebuilders in the San Joaquin Valley. For more information please visit www.sjvhomes.com.